One of the key factors for organizational successes is EMPOWERMENT. Essentially, this is a process where individuals or a community are invested with resources, decision making powers and a sense of authority. Obviously, this means making people feel responsible. Making people feel responsible for a deed or an area of operation, itself makes a difference to the person who is gaining the powers. Along with responsibility - accountability, sense of ownership and the feeling that he/she is answerable, tags along. Empowerment is a process that needs to administered with tact and training. Empowerment is surely responsible for many successes in organizations. An interesting marketing concept is that of Tetra Pak. This is a Swedish MNC. Tetra Pak is a pioneer food processing and packaging company, they have pioneered paper or cardboard based aseptic technology packaging material too. Their approach to marketing is interesting. Tetra Pak joins hands with companies, helps innovate and works with them to produce beverages and food products that use Tetra Pak based processing and packaging materials. More the sale of those products, more is the sale of the Tetra Pak based packaging. This way there is a symbiotic relationship between the product marketer and the packaging supplier (ie., Tetra Pak). 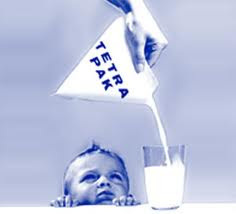 Tetra Pak does not manufacture or market the end products themselves at any time. They are solely bothered with sales and solutions based on their packaging materials. The result is that the packaging material helps the product manufacturer market better and make more money. Verily, Tetra Pak is EMPOWERING the product manufacturer through his packaging systems. Tetra Pak empowers the product manufacturer with technology, expertise in processing and packaging, marketing support, new ideas, fresh knowledge, insights ... . This process of making the purchasers, of its food processing equipment and packaging materials, empowered has in turn made Tetra Pak very rich and successful too. This is a fresh and successful facet of marketing that can be rightly called as EMPOWERMENT MARKETING. In a similar vein, Mc Donald's and the franchisee based marketing business model owes its success to the process of empowerment embedded in marketing design. There are scores of entrepreneurs who have become multimillionaires by becoming franchisees of McDonald's. Empowerment marketing actually provides resources and a platform for companies to tap the potential of individuals. Imagine Mc Donald's without its franchisee or joint venture based marketing model. Certainly one can conclude that it would not have grown to its present stature if it were not for its business model based on systems, monitoring and consequent empowerment. Empowerment is not blindly offering resources, and authority to the recipients. Empowerment is a scientific process of offering training, creating monitoring systems, constantly validating those systems, measuring, taking stock of the new challenges from the environment, and so on. Empowerment is a joint responsibility of the person(s) empowering and those getting empowered. It is a story of constant communication between the two parties, evolving win-win agreements and making the joint working 'work'. Empowerment is about synergism: ie., 1 + 1 > 2. Marketing is a process of empowerment: particularly, during 1950s, pharma marketers were a valuable lot to the doctors. Pharma marketers during those days (where print media was not very penetrative and electronic media were absent), brought important clinically relevant information, tools and other materials to doctors. In turn, due to the benefits, doctors would provide sales through their prescriptions. Since, the pharma marketing information and tools were offered only to doctors for prescription, it was called ethical marketing. Today, the process of empowerment is not just through Medical Representatives. Brand touch points are available through various other media. And through all contacts prospects and customers are actually trying to get empowered through the value being delivered. Hence, marketing is a core process of empowerment. It is a fact, I have ideated the concept of empowerment marketing and the term EMPOWERMENT MARKETING. HOWEVER, THE WORLD OF INTERNET SHOWS THIS CONCEPT HAS BEEN THOUGHT OF BY OTHERS. Empowerment marketing is a term used by this blogger in a slightly different way. Why does EMPOWERMENT MARKETING succeed? Empowerment is a process that helps an individual or set of individuals go about with a SENSE OF PURPOSE. There is a sense of autonomy experienced by the empowered individual(s). This autonomy and sense of purpose when used in marketing helps the process of marketing succeed. Bottomline: In essence, marketing should deliver value that empowers the target audience. This helps the marketing process succeed! Thanks for going through this blogpost, please recommend this blog to your acquaintances and scroll down to read other blogposts. To say frankly the word EMPOWERMENT is missing form the marketing world! Hope you share this in face book..few will come to know the importance of EMPOWERMENT. Thanks for this wonderful blog! Thanks for appreciating the blog. Empowerment is a major part of marketing particularly in today's context!